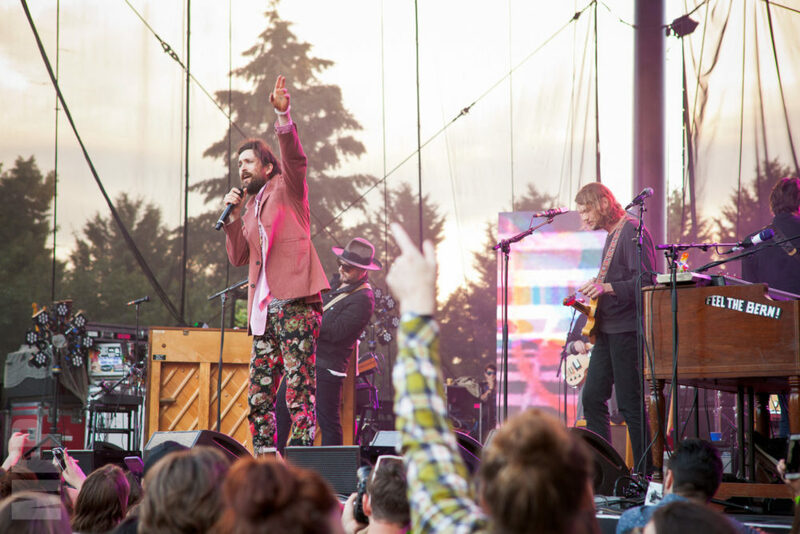 Edward Sharpe & The Magnetic Zeros brought their brand of uplifting and infectious folk rock to Marymoor Park in Redmond, WA last night and I was there to capture the festivities. Harriet opened up the night with some fun pop, yet due to the early start time the audience was slowly filtering throughout the band’s set. Preservation Hall Jazz Band got the crowd up on their feet and dancing with their New Orleans sound. It was amazing seeing the French Quarter staple in action here in the Seattle Area. Edward Sharpe & The Magnetic Zeros closed the night out with an amazing set filled with energy. Lead vocalist Alex Ebert was nothing short of charismatic and engaging, even getting down into the audience, performing as he walked around the crowd, smiling and waving to everyone as he passed by. It was a great night filled with positive energy and amazing performances.